Chamonix has so many dimensions it may as well be string theory! From luxury chalets to skiing, from climbing to flying, and even shopping, the list is long (how long is a piece of string!?). In this article, we’ve marked our favourite musical, sporting and cultural events on offer for winter 2018/19. Take a browse below at the essential Chamonix winter events and dates you need to save to your calendar. Read on and book ahead of the crowds with Chamonix All Year! 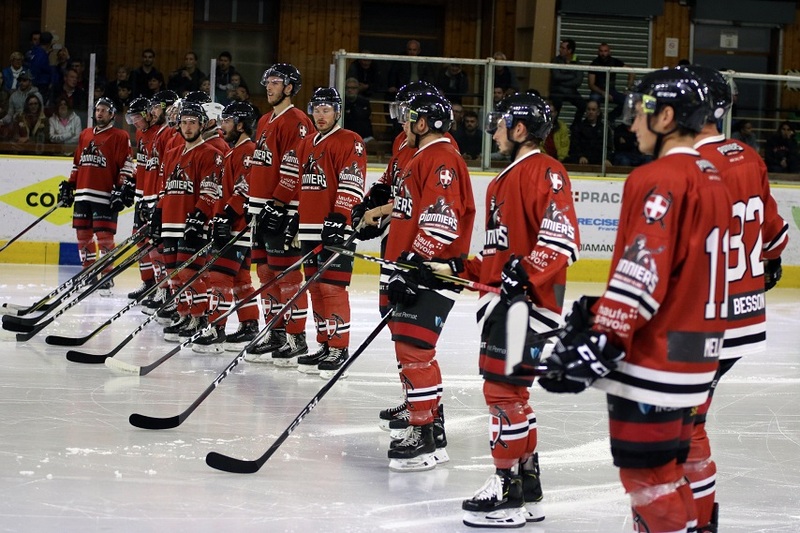 The official professional hockey team of Chamonix have weekly matches throughout winter in the Synerglace Ligue Magnus, and need your support to move up the points table. Check out the full calendar of matches here – they are great Chamonix winter events to attend. Those marked in red are home matches at the local ice rink, near to the Richard Bozon sports centre. See how many of the chants you can pick up before the end of the match! Winter starts with the blast of a snow gun and could welcome skiers and boarders as early as mid-November this year to Les Houches and Les Grands Montets. If the early snowfall is good enough, and temperatures are cold enough, this staggered start will see selected lifts running during weekends only to welcome you into winter. This year the climbing competition will be organized for children aged 8 to 15 years. You can register on-site at the indoor climbing wall for 18€ or sit back and enjoy the show in their elevated cafe viewing zone. Depending on snow conditions, the official opening date for full operations is set for Friday 7th December. You can following the snow conditions closely on our Facebook page where we will be posting our weekly Chamonix snow report. The snow report is hosted by former New Zealand television host Kirsteen MacKenzie, who has been working in sales and communications at Chamonix All Year for two years. This is a climbing competition, based around bouldering, held at the ENSA Gymnasium. It is free for the public to watch from 8.30am to 9pm (ending 5pm on Sunday). This ski mountaineering race is open to everyone and includes three routes of different difficulties between 450m and 1400m vertical elevation. The most family oriented race is the “Randathlon” which requires a team of two; one adult and one child between 12 and 15 years old. This challenge also includes rifle shooting (as in the biathlon event of the Winter Olympics). Join them at the Bunker Club at the end of Rue du Moulin. This underground rave spot will once again open its doors for this special event for up to 500 revellers. Tickets will be 20€ on the door with four headlining acts to party all night. An early Christmas gift arrives in the Chamonix in the form of a brand new, custom, après ski venue. The Folie Douce are long-time experts in ski party fun, now their unique party brand has arrived in Chamonix in the form of a new hotel, spa, restaurant and après ski experience within the shell of the old Le Savoy palace. Join the opening event for a historic knees-up! The Bighorn Bistro is a class act in traditional holiday food. 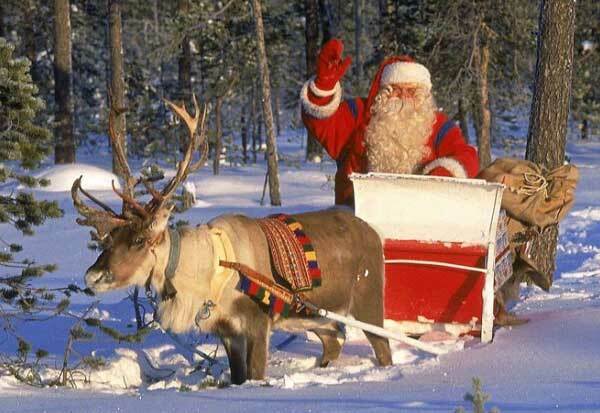 This Christmas Sunday, Monday and Tuesday you can book to join them for brunch or dinner. Christmas Brunch (10am to 3pm) will be pear flambée, French toast and roast turkey with cranberry specials. Christmas Roast Dinner (3pm to 11pm) is a 3 course meal for just 25€ with vegan options, festive drinks and of course homemade holiday desserts. Sunday 23rd includes live Christmas carolling with Rich Whyman from 7pm. Starting at the Place Balmat in central Chamonix, families old and young will line the streets to get a glimpse of the Christmas magic. The parade will come to an end under the huge town Christmas tree in front of the tourism office! You can join the Christmas Eve service at the Église Réformée de la Vallée de l’Arve on the 24th from 6pm to 7pm, the service is in French with English translation. Join the Christmas Morning service on the 25th from 10.30am to 11.45am, the service is likewise in French with English translation. The beautiful church is located just opposite the central train station of Chamonix, near to the Elevation bar. As the sun goes down three fairy dancers on stilts come out to play. Join the fairy fun from 5pm. A choreographed parade with humorous and offbeat sketches that evokes feminine clichés. Join the dancers in Place Balmat from 5pm for an ambience of Quincy Jones, Wonder Woman and even the James Bond Girls. Between 12pm and 3am enjoy live music, hot dogs & champagne in the centre of old town Chamonix. From 5pm, there will be live reggae and funk tunes with Rich and his acoustic trio. As well as a special menu, the team will be serving half-price prosecco in the outside bar all night. DJ OG will then take over the music from 8pm. Dust off your finest dancing frocks and suits, and swing in 2019 with some killer electro jazz tunes with DJ Lady Eliza. The price will be 10€ at the door starting at midnight or if you join their Facebook event and send them a message you can get on the list for free entry, and enjoy 1920s cocktails, bubbles and the craftiest beer around. Ladies, gentlemen, guys and dolls, come and ring in the New Year with 1950s style! The Kitsch Inn are hosting a fantastic 5 course set menu followed by live entertainment from the Rich Rat Pack at 10pm. Fancy dress is encouraged and you can book by phone or mail; lifeiskitsch@gmail.com or call +33 (0) 4 50 34 41 74. More details on Facebook. For a night of glitz, glam and games, why not fork out 95€ for the luxury set menu (drinks not included) at the Chamonix Casino? The event will be held in the Eugenie hall and features a DJ to keep your toes tapping all night. The instructors of the ESF Chamonix put on their first show of the season. It’s a time to admire the snaking line of monitors which floods the mountainside with lights. Enjoy mulled wine, music and family fun guaranteed. Take on locals and take on tourists, but most of all take on your own fitness! 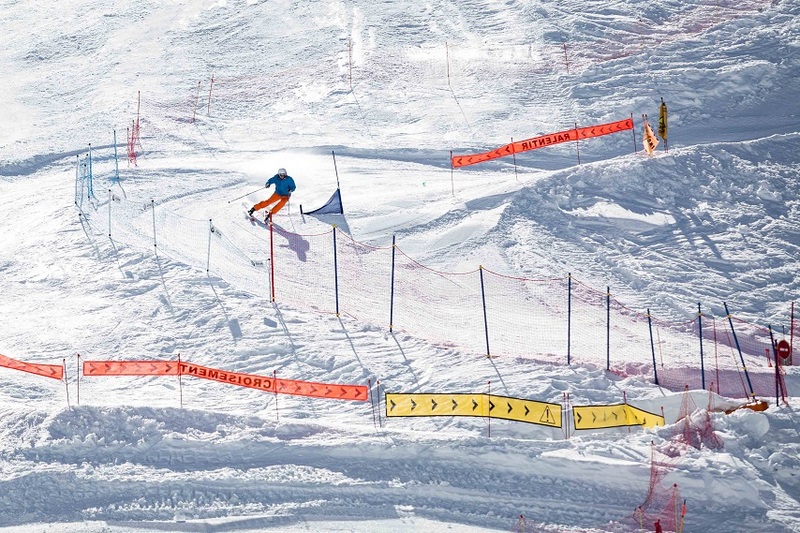 This night race begins at 7.30pm and is open for inscriptions by email: chamskialp@gmail.com. The price is roughly 50€ per team (2 people) with dinner included. Held on the slopes of the Les Houches ski area, the Junior Kandahar brings together the best European alpine skiers in the Under 14 category. One of the biggest matches of the season is worth booking tickets ahead of time for. This match-up traditionally has a big crowd as many fans make the journey from nearby Grenoble to support the opposing team. Hot off the heels of the big Grenoble match up the week prior, the Pionniers are at it again at the Ice Hockey rink in Chamonix. Surely fatigued from Friday’s efforts the team will need your support to find the power to vanquish their foes the Dragons of Rouen. The instructors of the ESF Chamonix put on their second show of the season and their first at the Savoy slopes in 2019. Join the party and the parade of monitors with lights and music as they make their way to town. There will be plenty of mulled wine to go around. The instructors of the ESF Chamonix put on their third show of the season. Again, mulled wine, music and family fun are on offer at the glowing snake of instructors make their way down from the mountain above. A week of colour and alternative culture, where tattoo and ski meet with good food and frank fun. There will be up to 50 artists at the Majestic building in Chamonix. Thursday and Friday will be afternoon affairs from 2-7pm, and over the weekend, the salon will open at 11am. The instructors of the ESF Chamonix put on their final show of the season. Your last chance to admire the parade of monitors descending the mountainside with lights. Enjoy mulled wine, music and family fun too. The local champions of figure skating will compete from 8am to 8pm at the Patinoire Richard Bozon. The event is free to watch and these up-and-comers and experts will be dressed to win and cool as ice! The restaurant and bar at the ice rink will also be serving up a storm, so why not enjoy lunch or dinner and a show, in the form of the figure skating cup? Each year in April, an impressive international line-up of some of the most influential dance music artists takes over the ski resort of Chamonix, thanks to Black Crows Skis. 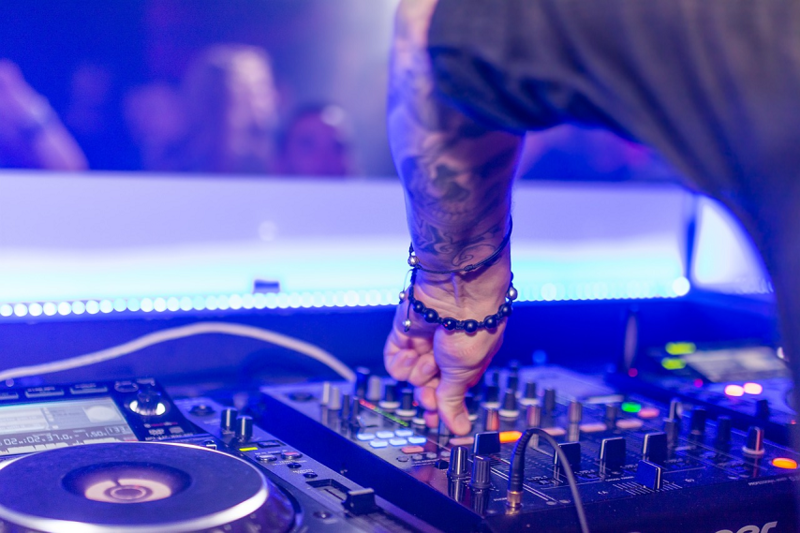 From shows at altitude to live DJ concerts in our favourite bars, the Chamonix Unlimited Festival is the perfect week of skiing and partying in spring, and one of the top Chamonix winter events – don’t miss it! This will be the second year of this magical event which, while it takes place in the French language, shares the wonder and joy of magic to any and all nationalities. Six of the most talented francophone magicians such as Eric Antoine will host five evenings of the Magic Mont Blanc Festival with something for every age and fancy. Musilac Mont Blanc will also be returning for a second year from Friday 26th to Sunday 28th April 2019, after being one of the most popular Chamonix winter events last year. Make the most of sunshine and discounted end of season ski passes to witness internationally renowned artists in an unbeatable setting. The venue will again be the Bois du Bouchet area with its breathtaking sunset views of Mont Blanc. Tickets are already available to buy and there are already three artists confirmed with more sure to follow. 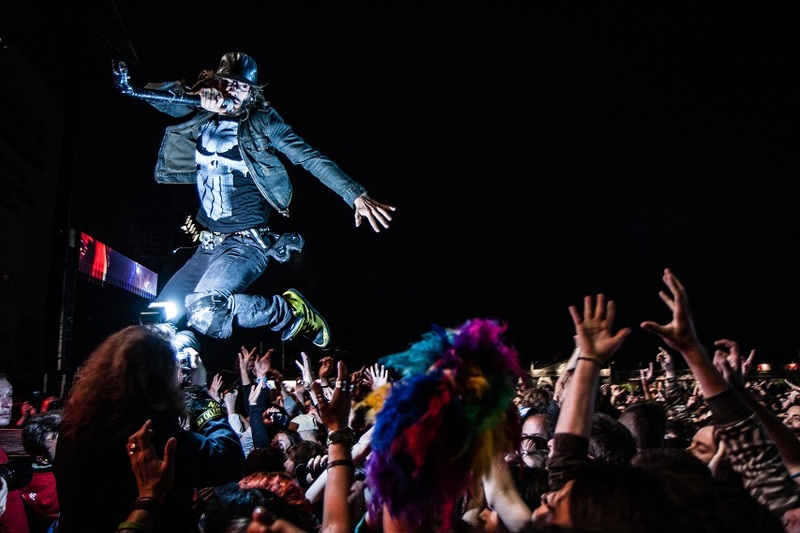 Last year’s line-up was a mix of popular French acts and internationally renowned artists, and this year’s line-up is shaping up to be more than a match. Confirmed to date are the following acts. A 1-day pass will cost you 54€, while a 3-day pass is 125€. The exact date is yet to be confirmed but will likely fall on Monday 29th April or Wednesday 1st May (which is a bank holiday in France). Grands Montets hosts a fun fancy dress day to celebrate the end of the season and the last of the spring snow. There are music, food, drinks and a party atmosphere, as well as a pond skim! Can you make it across the man-made pond of water on skis at speed without falling in? A Chamonix ski holiday has so much more to offer! So once you’ve organised your accommodation, airport transfers, ski passes and ski hire, make sure you come back and check out our Chamonix winter events calendar to make sure you make the most of your stay. 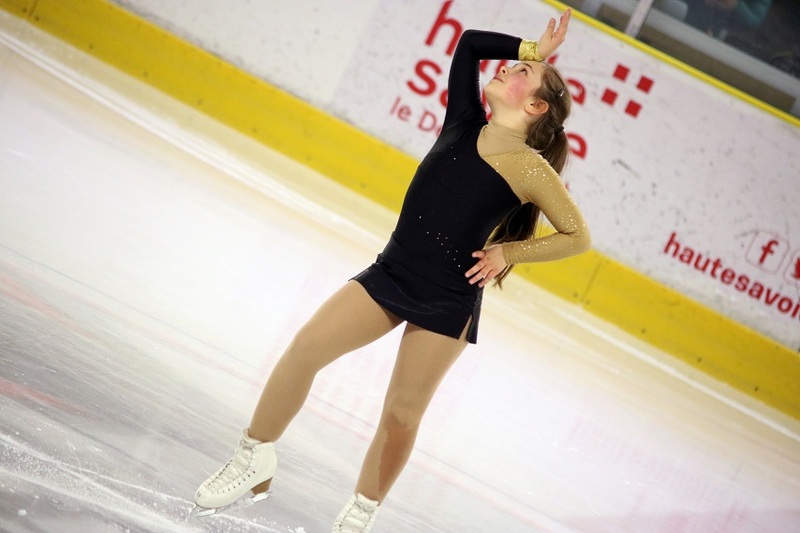 Thank you to Alexandre Juillet and the Club des Pionniers for the photos of the ice hockey and figure skating.